Australia is home to quite a large number of troublesome and dangerous pests. While the majority of insects, reptiles, and animals that require pest control here are fairly harmless, there are also some that are deadly. It is true that Australia is home to several venomous spiders and a large percentage of the world’s most deadly snakes, however these insects and reptiles account for only a minuscule percentage of call outs to pest controllers in Brisbane. The actual majority of calls are taken for the more common and generally less dangerous bugs and animals such as termites, possums, rats, mice, cockroaches, and ants. This theme is congruent throughout the majority of Australia, not just in suburban SEQ. With Australia’s mix of nature, suburban, urban, commercial and industrial areas, pests here need removing across a variety of environments. Generally however it is the same sort of elements e.g. accessible foodstuffs, moist environments etc. that encourage unwanted nasties to take up residence in the first place. This is regardless of whether it is in a suburban dwelling, a restaurant, a commercial warehouse, or an office block. We have put together a short list of the most common Australian critters for your reference below. These pests are listed in no particular order and the information given is purely for general knowledge. If you have a problem with any of the creatures listed below or even any that aren’t please get in contact with us to find out how we can help on 1300 442 978! 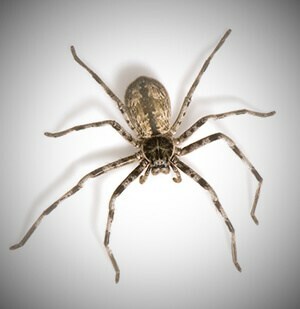 Spiders renowned for being ugly and intimidating not just in Australia but throughout the entire world. Many species are venomous however very few contain enough toxin to actually kill a fully grown human. Not a single human has died from a spider bite in Australia since 1979. This is largely due to the introduction of anti-venom. Despite this, spiders are still extremely common here and some can be a particular nuisance. Many species weave their webs in the corners of buildings, in the eaves, air vents, and even between wall cracks. Some even go as far as webbing in your garden, across footpaths and between trees, making your residential dwelling look messy and unkempt. Spiders generally prefer warm, dark small spaces such as the aforementioned spaces, and by building their webs there they taint the look of your home or commercial premises. There are a number of easy ways to prevent spiders from infesting your home, commercial building or office block. First is to fill in any small wall cracks. This will stop the spiders entering the premises via them, and also stop them taking up residence there. Vacuum regularly and deter other insects by using lighting and pest deterrents such as plants, sprays and lighting that is less attractive. If there are no other insects for them to feed on spiders are less likely to stay. In the garden, do away with sheltering sites like garden bags, firewood piles, and composite piles. Spiders love to hide behind objects such as these. Should a spider or even a family of spiders decide to build webs around your home, use a stick to knock them down immediately. This will encourage the spiders to move on to a new home somewhere else. Warm, humid environments provide a perfect breeding ground for fleas. These conditions aid in the survival of these notorious pests thrive both outside and inside your commercial or residential premises. Fleas affect pets such as dogs, cats, and even birds. They also affect humans, especially if you interact with animals regularly. They cause the host to become itchy and can cause a large amount of discomfort. Fleas are mostly moved from one place to another via household pets that hitch a ride with them from outside and carried on them inside. 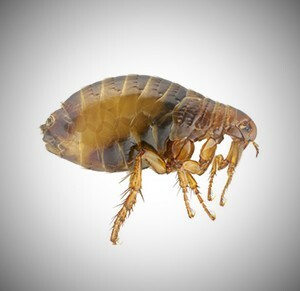 Once in the house, fleas can get into your clothes, furniture and carpets. A flea infestation can get out of hand very quickly – a single female flea can lay hundreds of eggs during her short life! Nevertheless, fleas can be prevented, and one way to manage this is to conduct regular check-ups on your pets. Clean your pets on a regular basis a safe and preferably natural flea wash. Also, clean their bedding regularly to discourage fleas from living there too. If an infestation cannot be controlled using DIY methods, get in contact with a pest control company as soon as possible. Most companies will utilize safe and effective methods to remove fleas very quickly. Ongoing construction and the ever expanding suburbia is eating in to possum habitat. No longer able to live in the trees that once covered these areas, the possums look for new homes in the roofs and ceilings of residential homes and the occasional commercial building. Once in these roofs, possums create all sorts of problems. They destroy insulation, damage household electrical wires and leave behind faeces and urine, damaged household electrical wires also pose a serious threat of potential electrocution and fire. 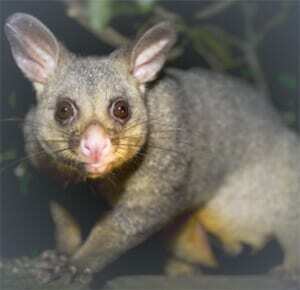 With this in mind, it’s important to that you remove possums from inside any building as soon as you notice them. Since they are a protected species in Australia, it’s mandatory that you follow the legal guidelines on how to do this. Because of this is is best if this task is left to professional possum removal companies that have experience in this area. Given their qualifications and experience, these types of companies will be the perfect partner to help you deter the possums, and stop them ever coming back. If you prefer the DIY method, make sure you read up on your local council laws, then use a trap to catch the rogue possum. Put some little food in the trap and leave it overnight when possums are most active. Keep in mind that once you have trapped a possum, the legislation is such that you cannot relocate it further than 25m away from where they are trapped. You can also prevent possums by removing all food sources that encourage them to come to your place as well any trees or obstacles that might act as a ladder for them to easily get up onto the roof. Wasps and bees can be a problem in the garden, and unfortunately for some in the walls of their home. This situation can be much worse than when they are outside. In some cases, wasps enter homes through open windows and build their nests. If they go unnoticed or left uncontrolled, wasps can build a large nest containing over 25,000 wasps. Given that they build these nests in wall cavities, lofts, and bushes, they pose an imminent danger should they feel threatened. A sting from a wasp or a bee can be a very painful experience and if you are allergic to stings, then a wasp or bee sting is potentially deadly to you. Bees generally build their nests outside but when a nest is formed in a cavity of your home it can become a real problem. For this you need a professional bee removal expert to relocate the nest somewhere more suitable. 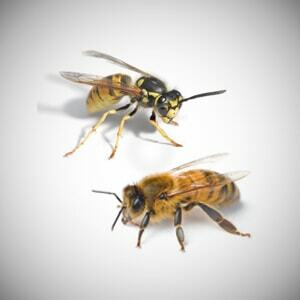 DIY wasp extermination is more common however for large nests or in circumstances where there is a high risk it is also best to consult a wasp removal expert who can safely treat the area without risk or damage to the property. Ants get into houses to search for food and when they do this, they can be a particular nuisance. Research points out that some species of ants carry diseases and you and your family can be affected. Some ants also bite, which can be a painful experience, especially if you are allergic to the sting. If you see small piles of earth around window sills, bathrooms, kitchen benches, holes in soil or at the base of exterior walls to your home or commercial premises, it is likely that the place is presently infested with ants. Getting rid of ants is relatively easy and it’s something you can do all by yourself. Start by tracking down where the ants are coming from and then seal off their entry points. Next, clear up any sticky residues from food on counter tops, as ants are attracted to these. Finally, cover up any foodstuff which may be a source of food for the ants. If the plague of ants is getting out of control it is advisable to use other methods to treat them. Insecticides and gel baiting will work the best. Natural methods such as using borax and vinegar sprays can also be effective, however if it is a bad infestation, other forms of treatment are most likely going to be necessary to get rid of them. Rats and mice are dangerous to humans because they can spread deadly diseases, cause considerable damage, and contaminate food. If they walk on foodstuffs which is later used by humans their diseases can make us sick. They can also damage a building’s insulation, chew through walls and floor joists, and even cause fires by chewing electric cables. Detecting rats or mice in your home can be difficult although you can look for droppings and check the corners and under furniture for the unpleasant smell/presence of urine to check if your house is infested. You can also listen for noise in the walls at night and in some circumstances during the day. 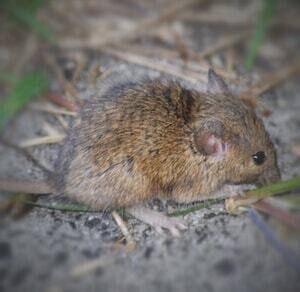 If you hear scratching and scampering rats are often to blame. If you think your home or commercial premises is infested with mice or rats, you need to take action immediately as it is a serious OH & S issue. Natural remedies and deterrents are available and can be read about online, however this will only work if you clean away all sources of food for the rodents first. You can also use traps to catch the mice and rats. Once your home or office is free of rats, you should spend some time to stop them infesting your dwelling again. Proofing the building as much as possible to ensure they don’t have access to it by blocking any entry points. 1 in 4 Australian homes will have termites during its life. Termites are arguably the most destructive pests in Australia and research shows that they cause an average of $10,000 to $15,000 in damages per home. If you notice the presence of termites around your dwelling, the first thing you should do is to contact a qualified professional. 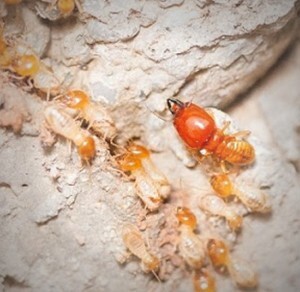 Try and resist the urge to disturb them, termites can be very temperamental, and they are easier for a professional to treat if left undisturbed. These “uninvited guests” can cause extensive damage if not managed or controlled swiftly. Termites affect all mainland parts of Australia with cities such as Perth, Brisbane, Adelaide, and Sydney at major risk due to large concentrations of buildings and a favourable climate. Termites are a national problem and need to be dealt with as soon as you notice them. The best way to do this is to have a professional pest control company get the job done. A reputable company will first conduct a termite inspection to check if the building is infested. They will then use specialised equipment and products to eliminate the infestation. Termites can also be eliminated through DIY methods which include using Permethrin Dust or years ago Arsenic Dust, however it is often best to leave such an important job to the professionals. Both ‘Dusts’ will only work on particular species effectively, and must be applied specifically for any type of positive result. Natural occurrences such as flooding, sunlight, and extremely low temperatures will also kill termites, however it will only kill the termites directly exposed, not necessarily the entire colony. Thus you still have an infestation, but one that might be slowed down somewhat. Contact the experts at Pest Control North Brisbane now for more information on 1300 442 978! Cockroaches prefer living in warm homes, wall cavities, and around damp spaces such as kitchens and bathrooms. They most often come out after dark to search for food, however you will see them during the day sometimes too. Research shows that cockroaches carry a lot of diseases that can compromise your well-being, especially if you consume too much of what they have walked on or eaten. To make matters worse, the Australian climate provides a perfect breeding ground for cockroaches. These intolerable insects are associated with a number of health risks. It’s believed that they can put you at risk of Dysentery and Gastroenteritis, and Salmonella; all potentially deadly diseases that will make you very sick, even if they don’t kill you. Increases in childhood asthma and eczema have also been associated with cockroach droppings. There are many different ways to eliminate cockroaches from your home. Some of these include using cockroach spray, bait traps, and bombs. Home sprays are not advisable in all conditions due to the fact that they can be harmful to children and pets, and the effect will be minimal. If cockroaches in your home are out of control, it’s advisable that you liaise with a professional company to help with their elimination. 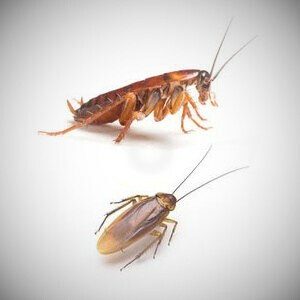 Most of these companies understand the habits of each cockroach species and will use this concept to come up with an effective control program for your home or office. Once all cockroaches are gone, you may want to prevent them from coming back. The most effective way to achieve this is to deny them easy access to water, food, and shelter, and regular pest control. Make sure crumbs and other food particles don’t accumulate in and around the counter-tops, bins, and cabinets. 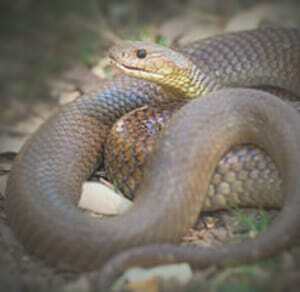 Australia is synonymous with snakes. While some may not be dangerous, others are deadly and can claim a life with just a single strike. Snakes prefer forested or sheltered grassland areas and if you happen to live near such in a rural setting, then you likely have encountering some before. They may move into your house because of flooding, looking for food or shelter, or other reasons. While some are harmless and even friendly, most can cause injuries if they feel threatened. Given that not all snakes are dangerous, it’s important to ask for professional assistance once you spot one. Contact a local pest control company who will come and examine the snake to check whether it’s venomous or not. They will be trained on how to handle snakes and will catch them without putting you, your family and pets at risk of an attack. Like many other pests, snakes too can be prevented from entering homes or buildings. One way to do this is to avoid planting tall-growing plants too close to the house. Another way is to remove ground-level water sources. You should also make sure that other pests such as rats and mice are completely eliminated because these will attract snakes into your home. There are many pests cause a nuisance to many of us, especially in the sub-tropical Brisbane climate. While we cannot change the climate that favours them, we can prevent them from invading our homes, commercial premises and/or offices. No matter where you live or what pest is bothering you, there are steps you can take to deter them and stop them coming back again. If you have a problem you can’t solve yourself however, the best thing to do would be to seek professional assistance. An expert in pest removal will know the right steps to take to get you a solution to your problem as quickly as possible. Call the experts at Pest Control North Brisbane now on 1300 442 978!